I’m keen to see pics of travel scope setups that are CATs. 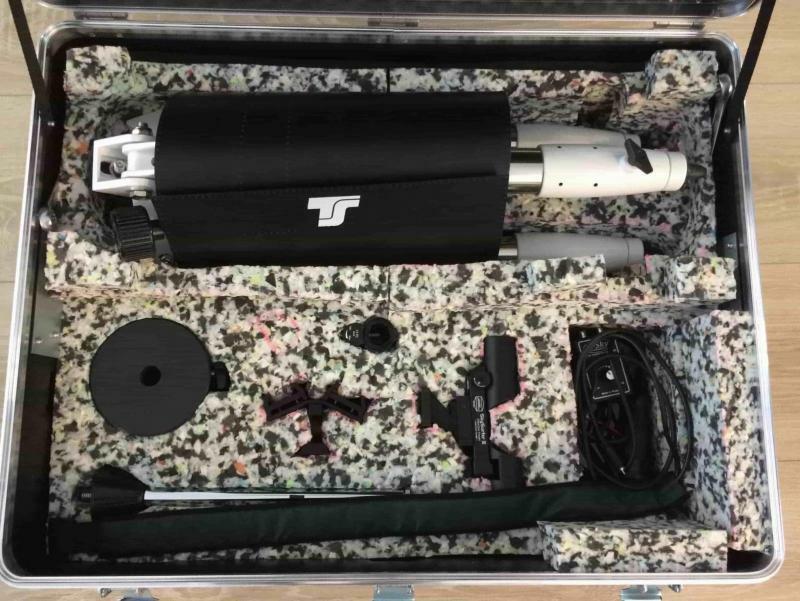 I’d love to see images of scopes both setup and packed away, ready for travel by car / plane etc. And I’d like to hear the philosophy behind the setup. Anyone keen to share their CAT travel setup? I showed it recently on other threads but here is my setup fit for travel. Travel to my “dark site” (a field) that I do by car, but I also travelled with it by plane. 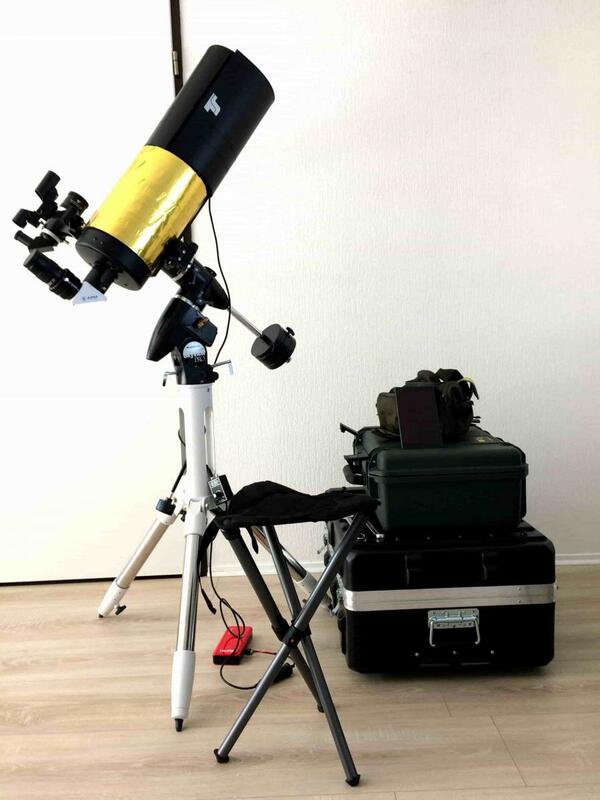 Philosophy: I have been purchasing the OTA thinking that I will desire to take it by plane someday and dimensions of the Ota were a key factor when choosing the telescope. I have to say that I got surprised by the hassle of the EQ mount but said to myself: you will do with what you have. The OTA is a mak 150mm. 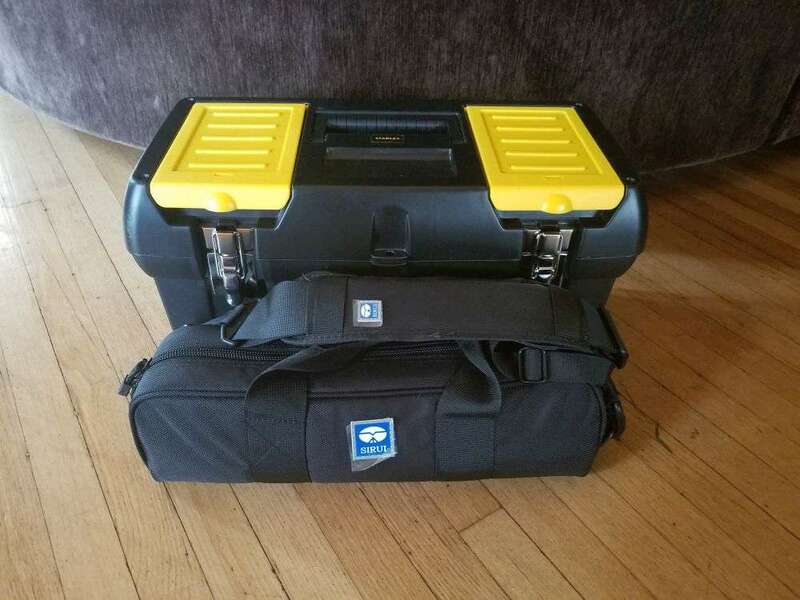 It goes in the Pelicase IM2600 as carry-on luggage for plane. It is with its prism diagonal, the dew heater battery (not allowed in checked luggage) and the finder. To note: it exceeds the limit of weight for most of the carry-on but by showing the OTA the employees of the airline company will probably make no issue (it worked for me). All the rest goes in a big Thermodyne trolley. Travel tripod (I believe similar to the Altaz EQ Skywatcher mount tripod), Skyview Pro EQ mount, red dot finder, dew heater + controller, and belt bag for eyepieces. This is very heavy, more than 30kg. If you have to pull it on an uneven surface, it’s tiring. I carry clothes, water, books and whatever in a backpack if needed. So I would say it is absolutely not a grab and go telescope. For that I would recommend a smaller OTA on an altaz mount. I might go in this direction later. 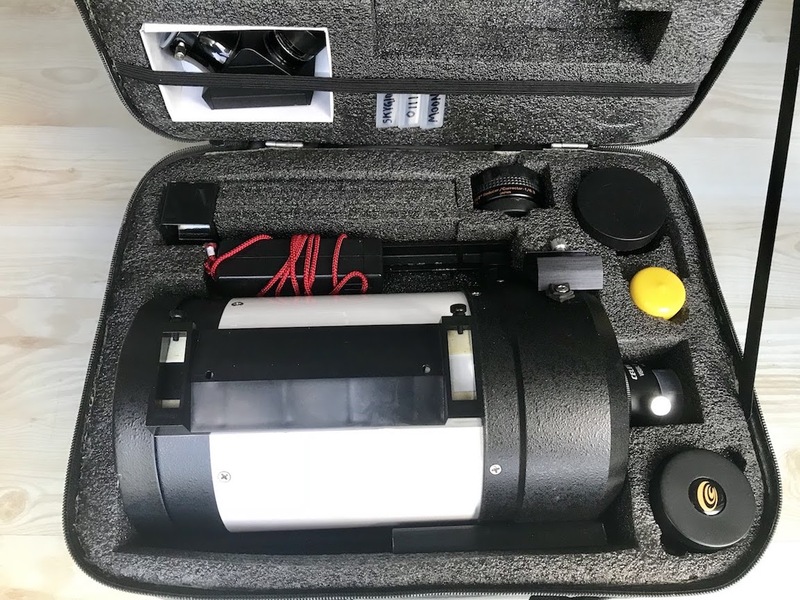 But it is a travel scope in the sense that a big setup fits in only 2 cases quite well organized: all the components are placed so that they are taken out in the correct order during assembling/unassembling the telescope. No searching in multiple bags/boxes etc. I have been very satisfied to have a telescope of this class taking the plane without problem. Smaller on altaz might be more reasonable however. With a kid coming I foresee that this setup will be too much. Here's mine. Untested as yet; leaving this weekend for 2 week road trip family vacation to Arizona & Colorado. Had to take minimal room in the minivan (this is not an astronomy-focused trip!). 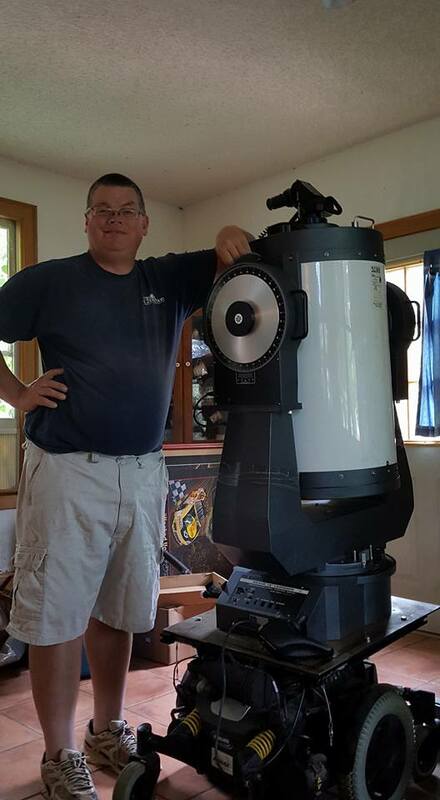 It's a Meade ETX90, "deforked", and a photo tripod that I will also be using for photos. 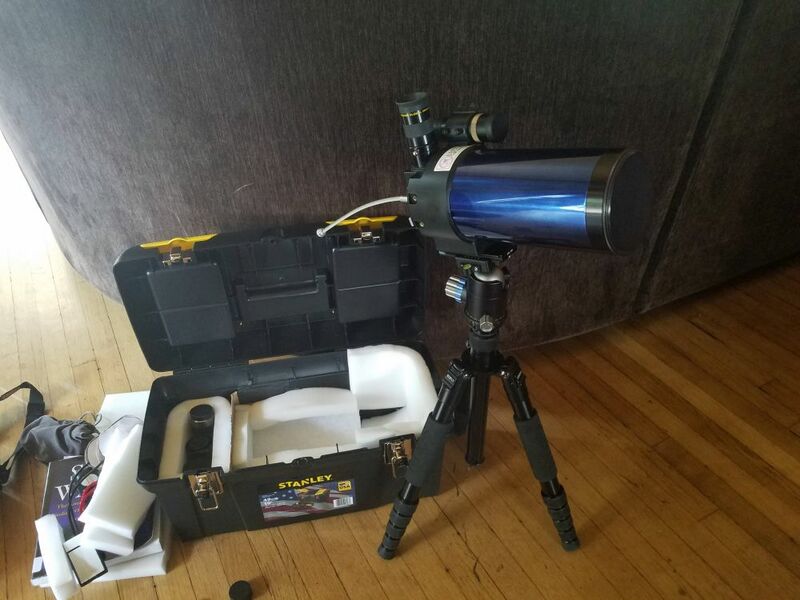 The goals I had in mind when made the purchase was to get the closest performances to my 100/900 DL refractor, but in a more convenient "package", to be ble to travel with the telescope without major hassles. 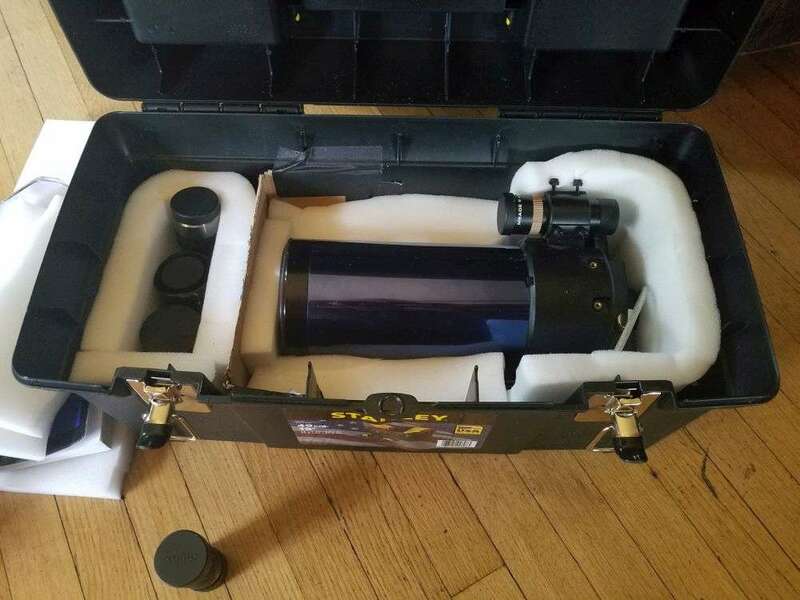 The black bag contains the optica tube, the TT320, and all the visual/photographic accessories, while inside the Astrotrac cylinder are stored the hard pieces. The telescope can be set up either in alt/az or EQ configuration, and it is suitable for planetary AP, while the mount can be exploited for deep sky AP with photographic lenses (I am waiting for the focal reducer; the Astrotrac probably could handle the reduced M500, but this would be indeed a much more demanding task I have never tried up to now; previous attempts with a 100/740 refractor showed me that the mount could be aligned through its polarscope to attain 60" to 90" subs). While it could be theoretically traveled by plane (all the items in the black bag can be flown as hand luggage, and the rugged pier checked), it was not a staple requirement, so the whole telescope is quite heavy, having put more emphasis on sturdiness; still I can carry it in a single trip, and without worrying about the path, a fact which was on the other hand, of a certain interest to me. In the picture is depicted also a Po-Li battery, which is a nice to have but absolutely not required, since the Astrotrac can feed upon AA batteries. 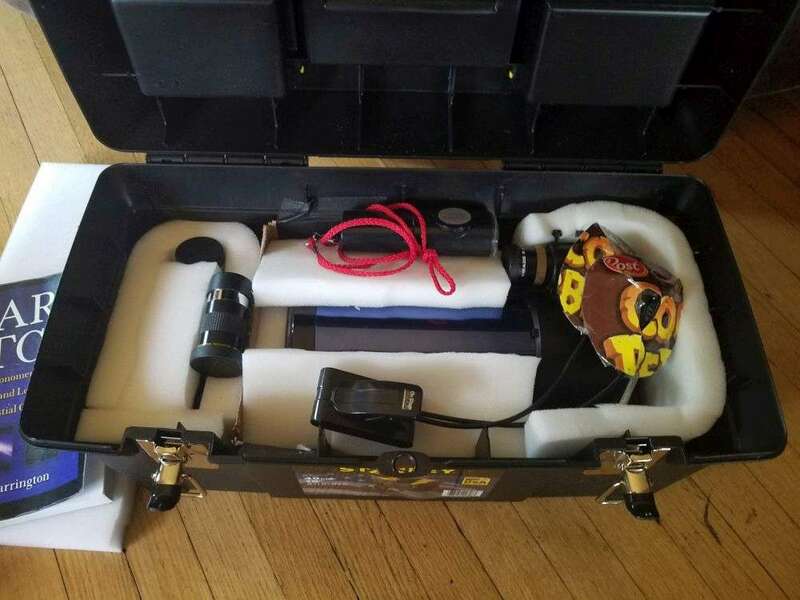 Here is how it looks set up; the large and heavy dewshield is the more troublesome piece, since it can not be place inside the bag, and would be left home if we are not using the car (or if have too much stuff). The autotracking is very enjoyable for high-power or shared observations, while being basically a manual telescopes ensures the greatest realiability; also, the good "redundancy" of the Astrotrac minimize the risk of finding that a critical piece is lacking and the telescope totally unusable. Edited by Hesiod, 12 July 2018 - 02:28 PM. Here's my 'mobile' 16" project. 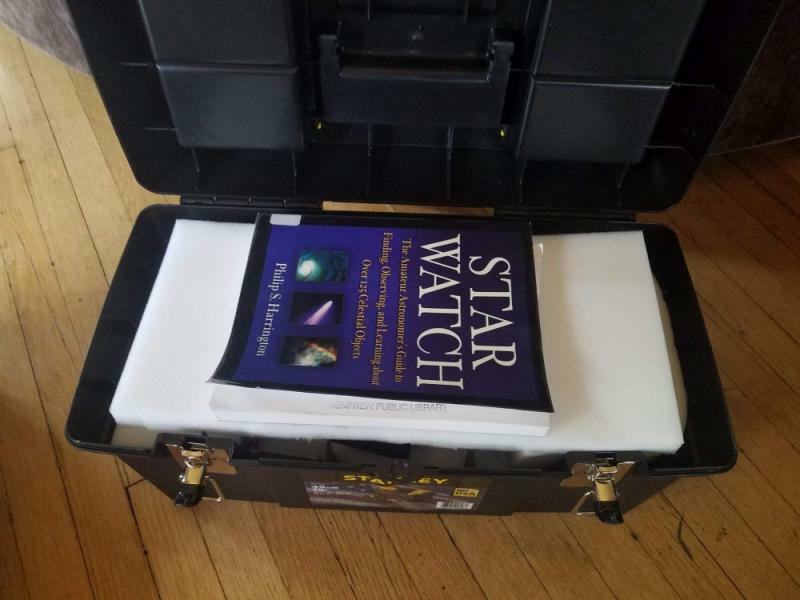 This telescope will be mainly visual use with some outreach. Mobility is via a heavy duty wheelchair. 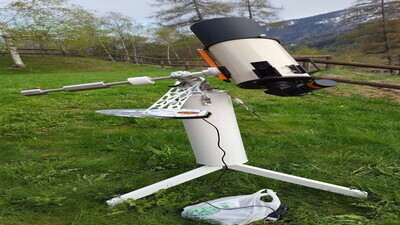 Chair has a tilt mechanism to put telescope into EQ mode. Status currently is - in development. General idea is to trailer the telescope to outreach and dark sites and drive the scope into position. I have used this for solar observing, especially last years eclipse which was beautifully framed in a 56mm eyepiece. 1. 24v-18v-12v buck converters to power the scope off the wheelchair batteries. 2. Leveling/stabilizer pod braces. Currently debating between manual crank or electric servo controls also powered by the wheelchair. 3. Elevation angle gauge for tilt. Airline travel C5 setup. Fits under the seat in front. filters, red flashlight, and a collimation screwdriver. Also will fit in a 4mm Radian in there once I scrounge some end caps for it. 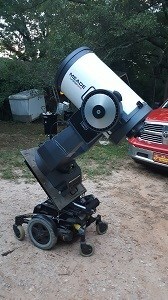 Used to use it with a Stellarvue M1, but have recently decided to purchase the Sky-Watcher AZ-GTi. Not only is it a lighter mount, but it offers tracking which will be very useful for the outreach I do. Cometeer, that looks like a very well thought-out visual travel setup! And that white-tube C5 reminds me of the C5+ ads in S&T in my youth - oh, the nostalgy! How do you find the AZ-GTi, does it work ok with your C5? What's the brand of that stool? I've been looking for one and most I've found look a little too short. Thank you Aki. It was originally a C5+. Unfortunately, I had to split it away from its fork mount. I haven't actually purchased the AZ-GTi yet. I've been waiting until I go back to school so that I can directly ship the mount there. From my research and by asking others, it seems that AZ-GTI should not have any problem with the C5. Let’s hope it’ll be a good combo! What’s the case in the pic? Did you cut the foam yourself or is it a custom job (Casebuilder etc.)? 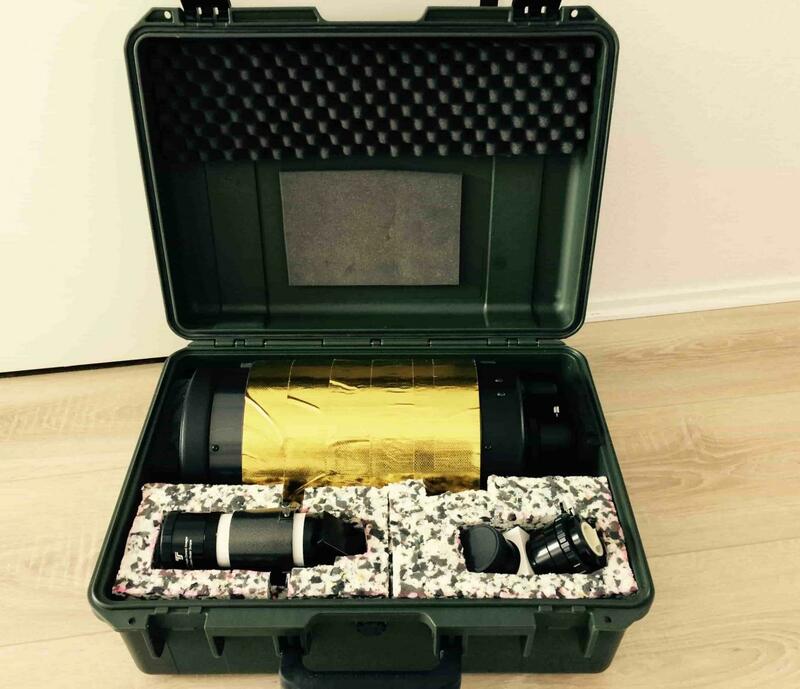 It the official C5 case that comes with the current generation of C5 spotters. Took me a while to get a hold of one. The foam comes with a cutout for the OTA, diagonal, a small eyepiece and a finder. I modified the OTA cutout to accomodate the handle on the C5+ OTA, otherwise it’s a perfect fit. Also enlarged the eyepiece hole in the upper right and made another one in the lower right. Added a hole for filters and the focal reducer. Everything was cut by hand with a box cutter and an xacto knife. 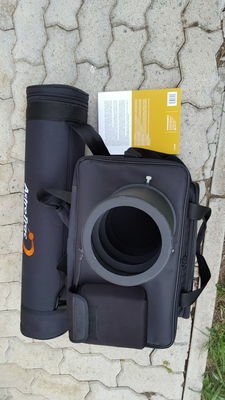 Given the provided cutouts in the foam, one can permanentaly keep a 6x30 optical finder affixed to the scope without needing to remove it when storing the scope in the case. But if paired with a goto mount, there's no need for an optical finder in addition to a red dot. I’m also thinking of my adding a 4mm Radian next to the Rigel Finder, but then I’ll have to move my collimation screw driver somewhere else. Will also add a UHC filter sometime soon. I forgot to mention that I even have a full size bahtinov mask hidden between the corrector cover and corrector. Are you considering a similar grab and go setup? Edited by Cometeer, 13 July 2018 - 02:41 PM. The brand is Walkstool (no idea if it's available in the USA). One of the best birthday gifts I received ! Made a small update to my setup. Decided to forgo the 4mm Radian and instead put in 3 plossls (7mm, 12mm, 20mm). Given the amount of outreach I’ll do with this setup, I’d rather not pull out hairs whenever kids touch the glass surface of the eps. With the plossls, I wouldn’t even care if someone decides to try taking a bite out of it. So now I’ve got a total of 5 eyepieces in that tiny case along with my C5 and other accessories. I can post an updated picture if anyone wants to see. .... and interesting to see that some consider a 16” mobile! Thats a well thought-out setup.